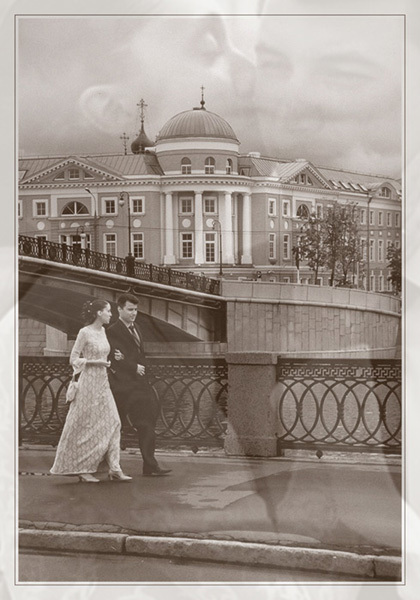 как вариант, первая проба "с наложением"
"The promenade"??? very interesting scene. Love that toning! A delicious photography. Very nice and well done . My congratulations, Maria Pleshkova. Do you do weddings a lot?